Dan Wright is most famous for his Oppo disc-player modifications that seem to cure the colorlessness and industrial ennui that contaminates the stock Oppo players. They look a bit weird sci-fi with the two tubes sticking out the top like alien antennaebut his BDP-105 and 205 mods sound rich fast and wonderful. 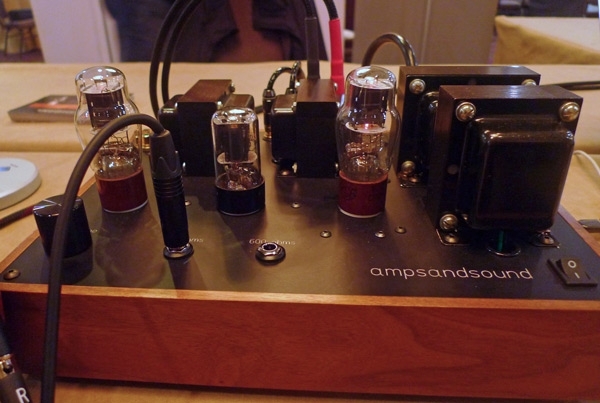 Dan also makes beautifully crafted amps and preamps. 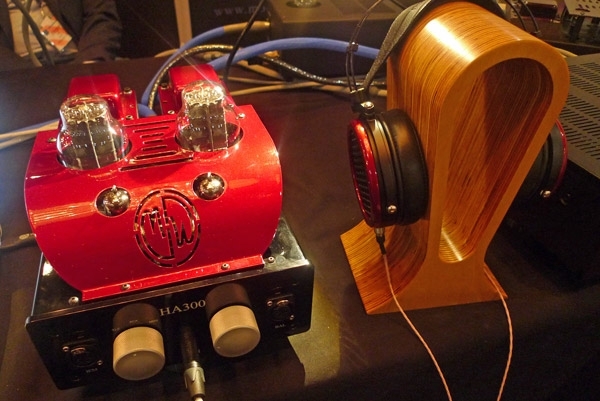 And lately, he's been making glamorous-looking and -sounding headphone amplifiers like the shiny red $7900 300B tube-powered HA300 amplifier pictured above. What I love most about the CanJam-CanMania world of headphones is, when I enter these rooms full of tables stacked with gear and cans; all laid out into individual listening stations; each with its own folding chair, DAC, amp, and headphonesall with table cloths and tangled wiresI am reminded of those ham radio meets I used to attend. Those tribal rooms were always alive with a collective vibe of discoveryjust like here and now. CAF 2017's CanMania was no exception, and, exactly like those old hamfests, there are tubes everywhere. 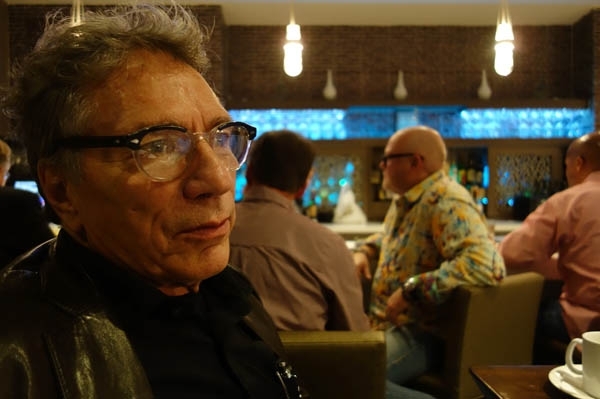 On Sunday morning, my Capital Audiofest 2017 experience began in the Hilton's Washington Auditorium, as my friend and colleague Herb Reichert (above) and I hosted a seminar titled "The Virtues of Vintage." When I walked into the VK Music room, I was jealous and embarrassed. I was jealous, because obviously VK Music's Victor Kung was doing something I admire; I was simultaneously embarrassed that I had never heard of his British Columbia-based operation. 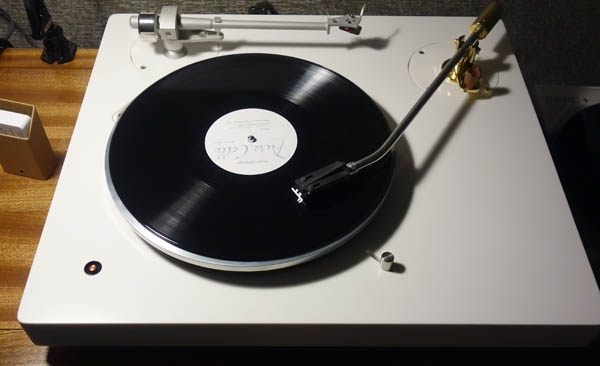 Cons: Audiophile music, audiophile demonstration protocol. 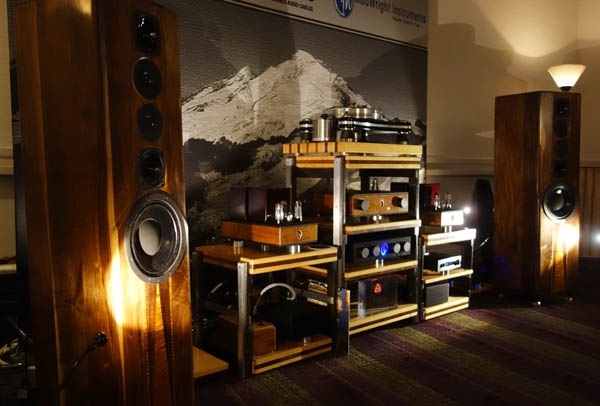 The sound in the room that featured the Daedalus Apollo 11 speaker ($22,800/pair), a selection of tubed electronics from ModWright, and cabling by WyWires was superb: detailed without sounding etched, and pleasantly liquid and warm, with good texture and a really great, spacious sense of scale. On top of all that, the gear from both brands is gorgeous: as rich and colorful in appearance as in sound. Fyssion? That rhymes with "fishin'," right? Every year I pop in the Fyssion room and every year I start thinking of fishin' before I even sit down, because these Fine Southern Gentlemen remind me of how good the bass fishing must be in their home state of North Carolina. I always cause a little friction 'cause I try to get them to have a room sheet with info about the gear they are playing and they always say, "Why should I do that?" I grin and explain that, "No words from you gets no words from me." They all laugh. I like the word tenacious. I consider myself tenacious. I admire tenacity. 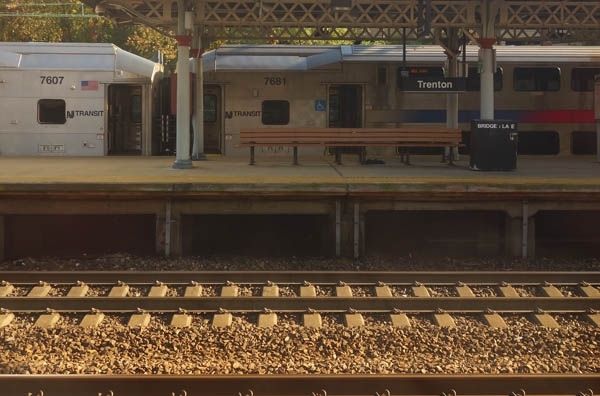 But I have to ask, what is Tenacious Sound? 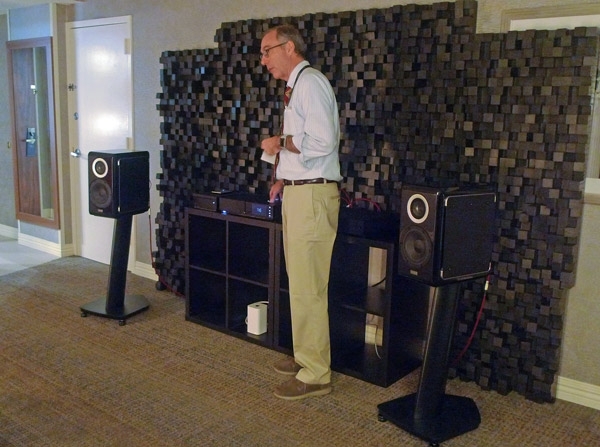 It is an audio dealer in Syracuse, New York, that is about to "tenaciously" open a new store in Nashville, TN. 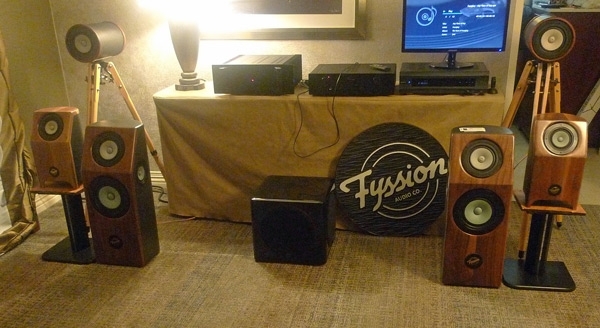 Tenacious had two rooms at the 2017 Capital Audio fest. 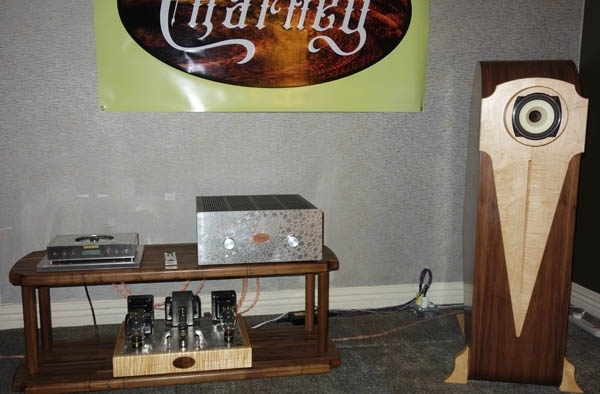 The first was upscale and featured John Bevier demonstrating the hottest speaker of the moment, one I think sounds fast and lucid in a sometimes-thrilling way, the TAD ME-1K ($14,290/pair). 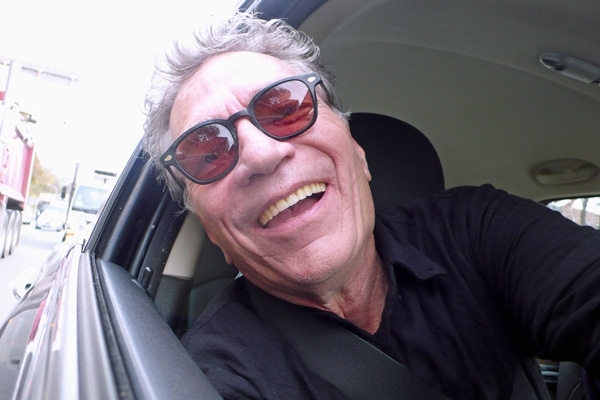 Perhaps you've heard this before, but it bears repeating: Veteran exhibitors and attendees alike have a great deal of loyalty and affection for this seven-year-old show and its busy founder, Gary Gill. 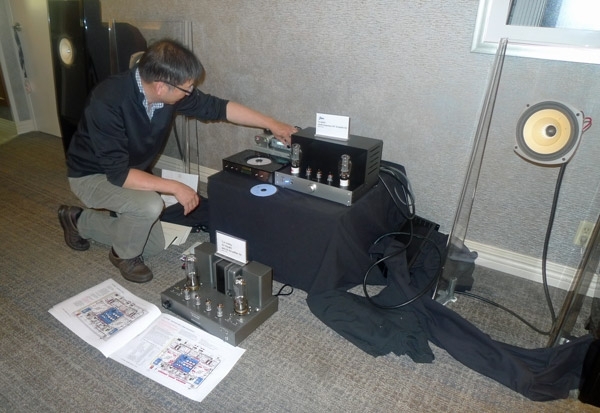 I was reminded of that during my very first stop on day one of Capital AudioFest 2017, when Kevin Hayes of VAC described the reasoning behind the decision to assemble such a large, expensive, and distinctly ambitious playback system: "In light of the move to this time of year, we wanted to help Gary and the show by doing something exceptional." 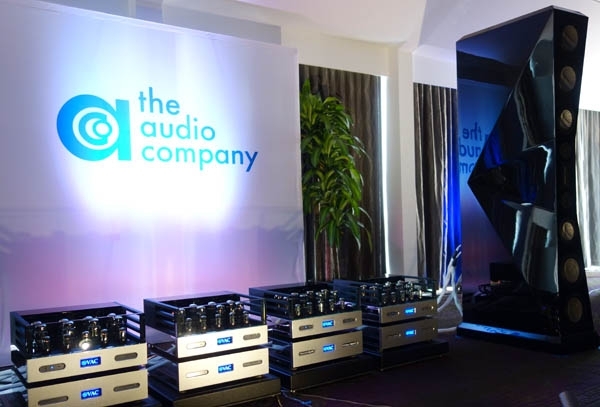 The result: a system built around the mighty Von Schweikert Audio Ultra 11 loudspeaker ($295,000/pair), powered by two pairs of VAC's Statement 450 iQ monoblock power amplifiers ($120,000/pair).